Since the start of the year i’ve been trying to incorporate more fashion onto this blog, and I feel that i’ve been doing that gradually by trying to feature at least one outfit a month. 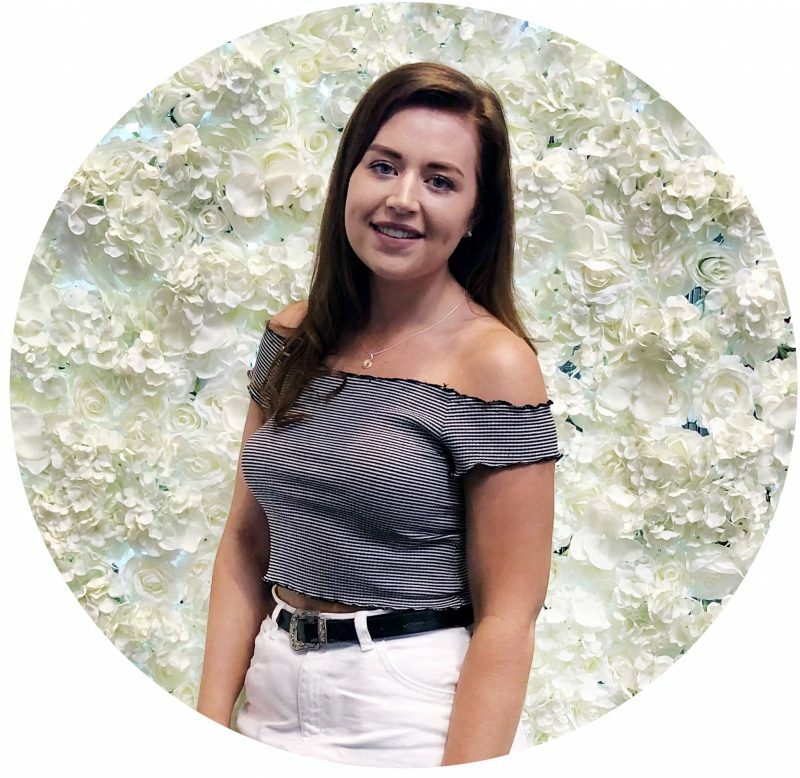 Having said that I rarely ever speak about the accessories or jewellery that I’m loving, so I thought i’d switch it up a bit and share with you the jewellery i’m currently loving! For my my preference with jewellery is the daintier the better. Gone are the days of big bulky necklaces and rings, whereas now I opt for more subtle and cute pieces that make a small but pretty impact. I’ve recently been adding a couple of new pieces into the rotation, as well as staying true to some good faithful pieces that I always have to feature! A few weeks ago I decided it was about time I treated myself to a new Pandora ring, as I currently wear the December Birthstone Ring (£40), although my birthday is in July, odd I know but I preferred the stone colour. 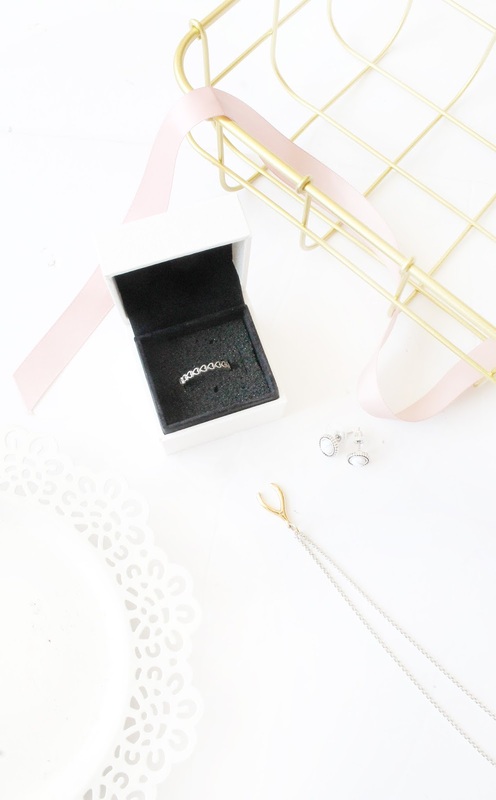 I also have the Pandora Delicate Heart Ring (£35) however I no longer wear this, so I wanted a ring to wear in place of that as I love stacking Pandora rings! After trying on fair few rings I finally settled on the Openwork Linked Love Ring (£30) as it was subtle but still tied in well with my other ring, and so far i’m absolutely loving it, and have been getting a lot of wear out of it! An old faithful of mine comes from the lovely brand Muru, who I don’t see enough about as theor craftsmanship is absolutely stunning and their pieces are timeless. I’ve been wearing their Wishbone Charm Necklace* (£54) for almost two years now, day in and day out, and I love it! It accessorises well with everything that I wear and it is absolutely stunning! When picking this I opted for the rose gold as I love rose gold jewellery on my skin tone, as it sits well and I find it suits me better to normal gold metal. Finally, moving onto earrings and I have a fair few piercings in my ears but I rarely change them up as I try to keep them quite minimal! Whilst in Australia I picked up a few new pairs of studs, from the brand Lovisa which is an accessories and jewellery brand/shop selling fairly affordable accessories. I opted for a few pairs, ones slightly different to my style and i’ve really been enjoying switching them up. Unfortunately they don’t have any of the studs I purchased online, but if you are local to Australia i’d highly recommend checking them out! So those are the jewellery pieces i’m currently loving and getting a lot of wear out of!